Home Reviews Is BlackBerry Bringing an Android Phone? Is BlackBerry Bringing an Android Phone? We haven’t heard much from BlackBerry in the last few months. It’s like the Canadian company has sunk into obscurity and hasn’t done anything important, they haven’t released any new smartphones and the fans still prefer the Passport or the Classic models that arrived last year. But in short time, we’ll be welcoming a new handset which is called Venice, and which will no longer run on BlackBerry’s proprietary OS, but on a third party platform, and the most popular one is Android. Did this catch your interest? Then you will want to find out more about Venice, from the leaked information that was offered by the best tipster in the world, @evleaks, AKA Evan Blass. Maybe one day Samsung will release a Galaxy that will run on iOS, or we’ll see a Nokia Lumia running on Android. These are just dreams, but it would be nice if this will happen someday. We would be happy to see diversity and experiments, but we’re pretty sure that Apple will never release a smartphone that will run on other software that isn’t associated with this firm. 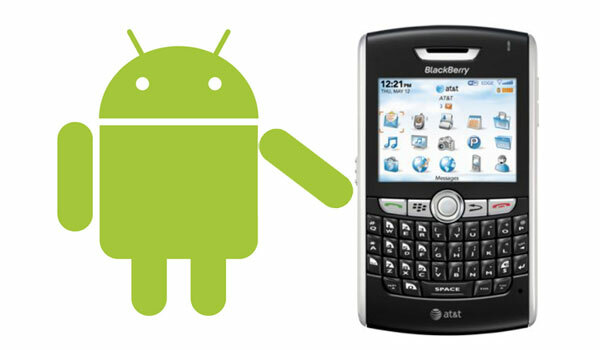 Luckily, BlackBerry is willing to change its style and bring a phone with Android onboard. For now, these are only rumors, but they seem plausible, because BlackBerry CEO John Chen stated, at some point, that the company would like to create a phone that will run on an Android version and now that the Venice model has been leaked, there’s no point in believing in coincidences. There’s an image of this phone circulating on the internet, but you can’t distinguish much. However, what we can tell is you is that the device looks a lot like the Passport smartphone, which means that it has a physical keyboard with keys including the Home button, Back button and Multi Window. As for the specs, it seems that the screen will no longer be square, but it will be rectangular and larger at 5.4inches, supporting QHD resolution of 1440 x 2560 pixels and inside, it will feature a 1.8GHz hexa core 64-bit Snapdragon 808 processor which is backed by 3GB of RAM. This combination was used on the LG G4 and the phone had some decent performance results, but we’re waiting to find out about the capacity of its battery, because a QHD display drains the battery very fast. However, from the leaked images, we noticed that the screen is curved on both sides, but the curvature is not that obvious as on the Galaxy S6 Edge. The camera is expected to support a resolution of 18MP, which will be higher than on any other BlackBerry smartphone, while the front camera will be 5MP. There are no details yet about the features, if the phone will have single LED flash or dual-LED flash, optical image stabilization or other innovative option. BlackBerry has a very poor app store and the BlackBery 10 OS lacks many things and doesn’t perform that well. You will be very surprised to hear that the company registered two new WhoIs domains, and according to two screen captures, we’ve seen that BlackBerry Limited is the new owner of AndroidSecured.com and AndroidSecured.net, starting from July 7. Can you guess where this is heading? 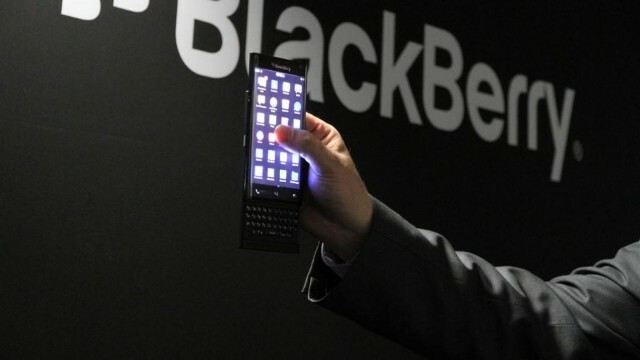 So, what carrier will be the first one to sell the Android-based BlackBerry Venice phone? According to @evleaks, the phone will be available in the US through AT&T, starting from this November, then it will be rolled out to other regions as soon as possible. BlackBerry’s representatives refused to comment on the latest rumors, but the only relevant statement that BlackBerry CEO John Chen gave CNBC was that ”We only build secure phones, and BlackBerry is the most secure phone. So, if I can find a way to secure the Android phone, I will also build that.” Although this is not a confirmation that BlackBerry intends to release an Android smartphone, if the rumors will be true, then in the following period, the Canadian manufacturer will test Google’s software in its labs and we’re pretty sure that an insider will give us some leaks. On the other side, there were other speculations according to which Microsoft wants to get its hands on BlackBerry, as the giant already had asked its investment firms to evaluate the Canadian company and its value seems to be around $7 billion. But this is unlikely to happen, because BlackBerry seems to be recruiting personnel and we’re guessing that these people are needed to build Venice. And if Venice will run on Android, then the users will have access to Google’s Android app store, from where they will download any application or game they like. Lastly, we must add that some rumors say that the display will be made by Samsung. Do you think that Venice will come this fall, loaded with Android M?